Robin Soderling is my Hero! Tennis favourite Roger Federer says that his fitness levels would determine how the rest of his season would pan out. There is the Shanghai Masters, Beijing, Basel, Paris and ATP Tour Finals to fight for. However, Federer, who is watching the tournaments he competes in, would look at his fitness report before confirming participation in any. Federer says the next few weeks are important but that his hometown event in Basel would be important. He would likely make a pick of the events to attend with the numerous options before him. Rafael Nadal made history when he defeated Stan Wawrinka to lift his 10th French Open title in Paris. The 31-year old Spaniard won the game in straight sets 6-2, 6-3, 6-1 to win his 15th major title. The Swiss opponent stood no chance against Nadal who was widely expected to win the game. Nadal is now the first person, in the Open Era – from when pro stars can compete with amateurs – to have lifted a Grand Slam tournament title ten times. He moves ahead of Pete Sampras on the list of all-time Grand Slam winners but he is behind Roger Federer. Federer defeated him to win his 18th title in Australia early this year and he remains in top shape to possibly add another. This means Nadal would need to make quite a chase to topple the Swiss. Andy Murray, who currently holds the world No. 1 title, believes that it would be a fatal mistake for anyone to write off Roger Federer in this year’s French Open. Murray maintains this position inspite of the Swiss having missed much of the clay court season. For Federer, the 2017 season so far has been a remarkable one which has seen him win the Australian Open as well as the Masters 1000 titles at Indian Wells and Miami. This came on the heels of his stay for six months out on the sidelines in 2016 as he recovered from an injury. The new tennis rankings showed predictable results but there were some upset as well. After winning the Memphis Open, Ryan Harrison climbed to the top 50 for the first time in five years. 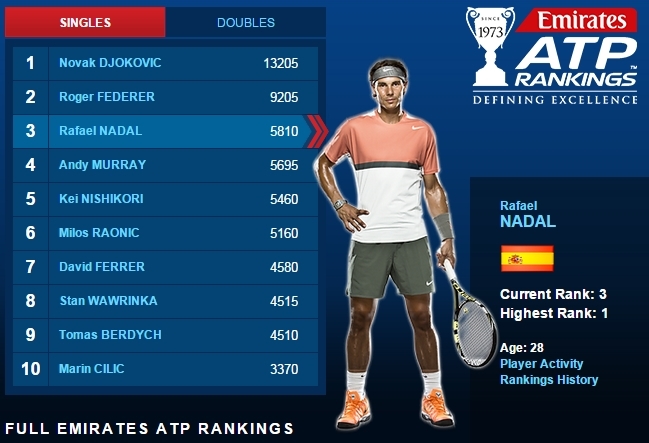 He is the biggest mover in the new rankings and he is seriously attracting a buzz for his comeback. Harrison was declared early in his career to be the new American tennis star after Andy Roddick. The player was under a lot of pressure to impress but he never quite lived up to the expectations. The 24-year old star – despite the number of years in the spotlight – shocked the tennis world when he won his first ATP title. He did it in style, as he did not drop a single set throughout. Just recently via the social networking site, Instagram, Milos Raonic, Canadian Tennis player was on hand to announce the slight change in his relationship with his Coach, Carlos Raonic. 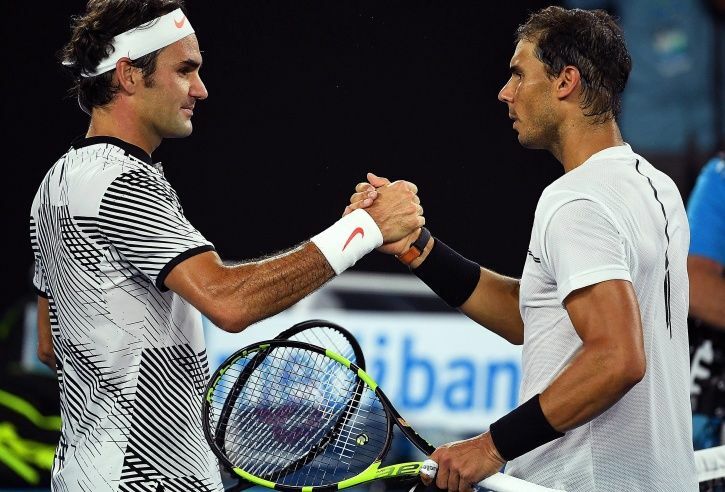 The start of the 2016 season had seen the two join forces in what has so far seemed to be a very fruitful relationship, which had seen Raonic advance to the Semifinals of the 2016 Australian Open. He was also able to play at a high-enough level, thus going on to make the final event from Melbourne. Late match- fitness problems in the semifinals however saw the Canadian crash out in a five setter. “Thank you to Carlos Moya for helping me tremendously this year, alongside my team, to get the best out of me. There comes a time when our players retire from the field. Robin Soderling has come to such a stage. He had been a finalist in the French Open two times. However, he has been plagued with an illness for long and that has prompted him to take such a decision. At the age of 31 he has announced his retirement from the game. It is definitely an early age for him to retire. However, the game and careers are not the same for everyone. Soderling has several feats and achievements in his career. He had defeated Rafael Nadal in 2009 at the French Open which had been his greatest feat. He even won the Swedish Open in the year 2011. That year was the last he played.